Yay, Knit Issue 40 magazine is out! 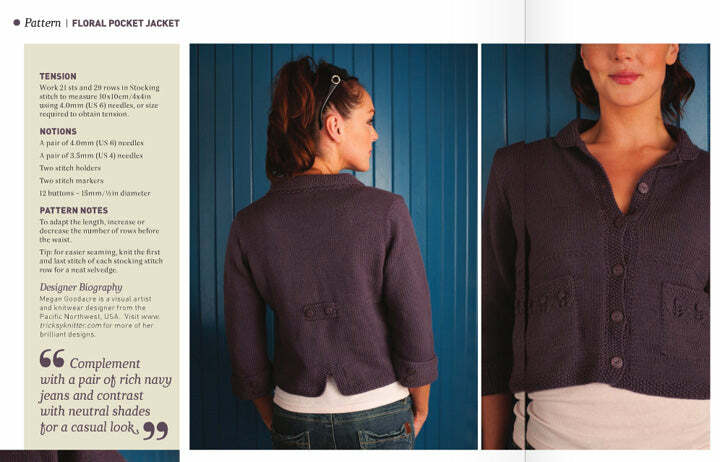 Knit is a British magazine, published by All Craft Media. (Knit used to be called Yarn Forward). You can get in on newsstands in the UK, or get it digitally at Yudu. It's a lovely little magazine, with very few ads. You can check out the table of contents at Yudu before buying, which is a nice feature. I subscribe to Knit at Yudu, which gives me access to all the back issues, which is a fantastic deal. You can get more information on all 10 patterns on Ravelry, a really nice array of creative designs. There's also a good how-to article on Finishing, very handy. Floral Pocket Jacket by me!